What is an Owner’s Agreement? An Owner’s agreement is an agreement among owners of a business that governs the relationships and rights of each owner of the business. The type of agreement you have depends on the legal form of your business. Shareholders’ Agreements are agreements among corporations and their owners. Operating Agreements are agreements among limited liability companies and their owners. Partnership Agreements are agreements between partners in a general or limited partnership. What are the consequences of not having an owners’ agreement? These agreements protect you from becoming partners with someone you never intended to partner with – such as your partner’s ex-spouse. If you don’t have an agreement that spells out protections, you could, for example, end up partners with your partner’s ex-spouse who is awarded the owner’s interest in a divorce. 1) All should include a provision that restricts transfers of interests by the other owners except in limited circumstances, so that the owners always know who their partners will be. 2) Every agreement should include a right of first refusal, giving the other owners the first right to buy an owner’s interest who wants to sell. 3) Every agreement should give all owners, or at least the majority owners, the right to buy the interest of an owner who must involuntarily transfer their interest (such as in a divorce or bankruptcy or assignment for the benefit of creditors). 4) If an employee’s employment is terminated or if the employee dies, or becomes permanently disabled, the company or the other owners should be required to buy out their interest. 5) If any employee leaves the company voluntarily the company or the other owners need to have, at a minimum, a right to buy the departing employee’s ownership interest, and if negotiated, an obligation to buy out the departing employee. In what other ways do these provisions protect businesses? These provisions just make good sense. They protect all parties concerned. They protect remaining owners from becoming partners with someone who they do not want to be partners with – like a spouse, an heir or a creditor. They also protect the departing owner from being stuck with an ownership interest that they cannot sell or otherwise turn into cash. It gives them a way to get the cash out. A good agreement will also protect the company if a key employee is bought out and replaced by enabling the company to repurchase the interest of the key employee and offer the interest to their replacement. Often dealerships desire, or may even be required by the manufacturer, to sell a minority interest to their general manager. If they have already sold a minority interest to an employee who has left, and have no way to get it back, they may not want to sell even more of the business to a replacement. These agreements can also provide for the purchase of insurance to cover the cost of the buy-out in the event of death, and sometimes in the event of disability. Even if insurance is not purchased, they can be structured with a buy/out by payment with a promissory note that can be paid over time, so a buyout does not impose too much of a burden on the other owners or the company. What if someone is buying in to a business they already work in? Whenever a minority owner is buying a partial interest in a business, they should be asked to sign a purchase agreement and an owners’ agreement. Whether buying the entire business, or just a minority interest, a buyer should be asking all the same questions and doing all the same due diligence. These questions were discussed in more detail in Article III in this Buy/Sell series which can be found at www.grayduffylaw.com. Often these questions are not asked because the buyer of a partial interest already works in the business and feels like they know what they need to know. This is a risky strategy, but it is a risk often taken by buyers. 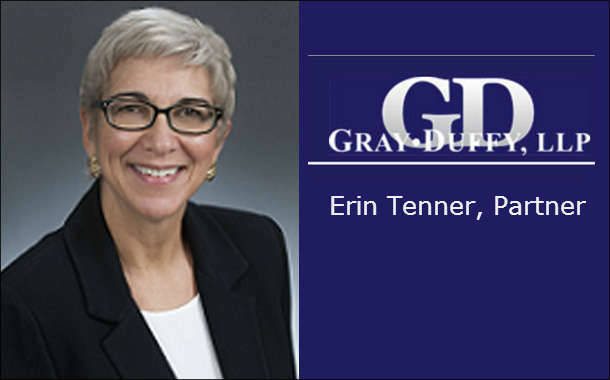 Erin Tenner has been representing auto dealers in buy/sell agreements for 30 years and is a partner at Gray Duffy LLP. She can be reached at etenner@grayduffylaw.com or 1-818-907-4000.